We usually write about places that our travelers should visit or the landmarks they need to see and sometimes just in general about the joys of traveling. However, this post is about a slightly different form of joy - that comes from doing something selfless for others. 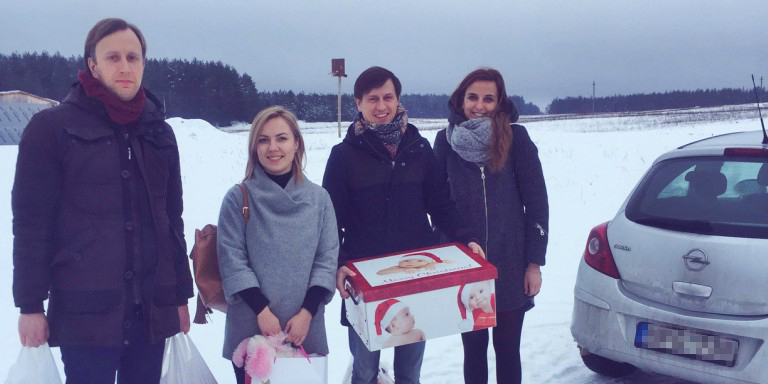 Before Christmas, our Lithuanian team decided that instead of the annual office Secret Santa tradition they want to spread the festive spirit outside the working environment. The team took part in the nonprofit project called "Children's dreams" (lit. Vaikų svajonės) which aims to fulfill the dreams and needs of children living in challenging conditions. Our team made seven children's Christmas wishes come true. They bought and delivered three winter coats, three pairs of shoes and LEGO to seven different families struggling to make ends meet. Each family has also received food products and sweets to make their Christmas extra special. Our wish granter and Marketing Specialist, Paulius, said: "What struck me the most when taking part in the project is that we barely ever take time to think about the others. We are so focused on our lives, work and daily routines that it becomes so difficult to stop for a second and try to make other's day a bit better, especially during Christmas." "Taking time off work to visit 7-year-old Diana, who comes from a family of seven children, and bringing her a winter coat that she dreamed of, was more meaningful experience than I first anticipated. I can't wait to fulfill more dreams next December and bring Christmas spirit to even more struggling households."